First Q&A Wild Animals covers a wide range of wild animal-related topics, answering both the most common and unusual questions posed by children. Each clearly answered question is accompanied by a photograph or cartoon to aid a child's understanding. 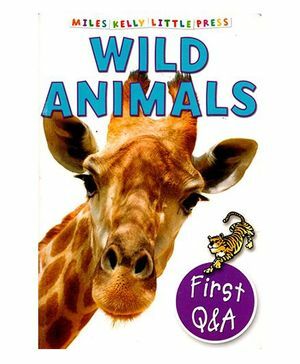 With unique questions and answers, amazing photographs and fun cartoons on every page, this is a perfect introduction to children's animal books. It's sure to be a big hit with curious minds aged 5+!